At the year 2012 I finished gymnasium/high school. Got into the university I applied for, but had to take an academic leave to join the mandatory military service – the Estonian Defense Forces. Where I served 8 months as a pioneer. Serving at the Defence Forces really widened my worldview, I met all kinds of different people, made new friends and followed butloads of orders, nonethelless I gained enormous amounts of experience. By the time I finished my service, I had just celebrated my 20th birthday and I was ready to conquer the world! Field of activity was retail sales via e-shop. E-shops are booming, so why not? Before I started the company, I was not sure, that I should do it. But when my mother said to me, that eventually I will be establishing a company anyways, so why not right now? Motivated by my mother, I started looking into the process of starting a company. I had the money for starting the limited-liability company, which was 2500 euros and had all the information ready. I even manually made whole damn articles of association … It took me literally 12+ hours to manually carve out the whole thing, searched the whole google to get it and to make it up. But then I realized that it was a complete waste of time, because the system automatically generates it + starting a company in Estonia is SUPER EASY! It literally takes only a few mouse clicks to start a business here. I transferred the money to my company’s newly opened bank account and there it went, my very first company. In Estonia, if your company does not have VAT tax or been active more than 6 months in one fiscal year, you can skip that year’s financial annual report and present it the next year. Sounded good to me! So I gathered my company’s financial information, sales, expenses, etc and presented them to my accountant. Few days later. Accountant responded. Here is your company’s 2013-2014 year’s report. Some statistics from the 2013-2014 company’s annual report. Total sales revenue close to 23 000 euros. With a profit of more than 1800 euros. When and why I started investing? At the age of 20 I started a business, at the age of 21 I started investing. The date was august 29th, year 2014. The first payment I made was only 10,1€, why ,1? Because Bondora requested a 0.1€ deposit to confirm the bank account. My next investment at Bondora.com, was at the same year’s 14th october, it was again a small investment of 10€. Third deposit to my Bondora portfolio account was made on 28th november, same year. This time even smaller investment of 9€. 4th and that year’s last deposit I made, was at 15th december, also a small investment of 10€. By the end of the year 2014, I had invested a total of 39,10€ at Bondora. Meanwhile interests and principal kept on rolling in and I received a total of 1,07€ in interests and got back 10,2€ of principal. I began listening to investing podcasts and reading different blogs, articles, books and talking to people, who were investing. Reading about people being financially free made me realize that someday I could be in the same situation, financially free, what a great situation to be in. I was instantaneously hooked and dreamt big of being financially free someday in the future. Needless to say I kept on learning about investing and never looked back! 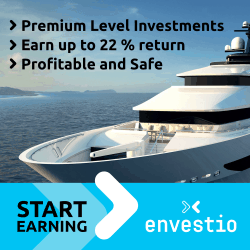 If you sign up and invest with Envestio through my referral link, you will get a 5€ bonus when you deposit at least 100€. In addition, you will also get a 0,5% cash back on all your investments the first 270 days. That’s 9 full months! Every friend I invite, will receive additional referral funds of 0,5% of the total amount invested within the first three months of your membership. I’m not associated with any of the investment platforms I use. Everything I write about are purely my ideas and thoughts. I am not a professional money manager, nor am I a financial planner. I don’t pretend to be, nor would I want you to think that I am. 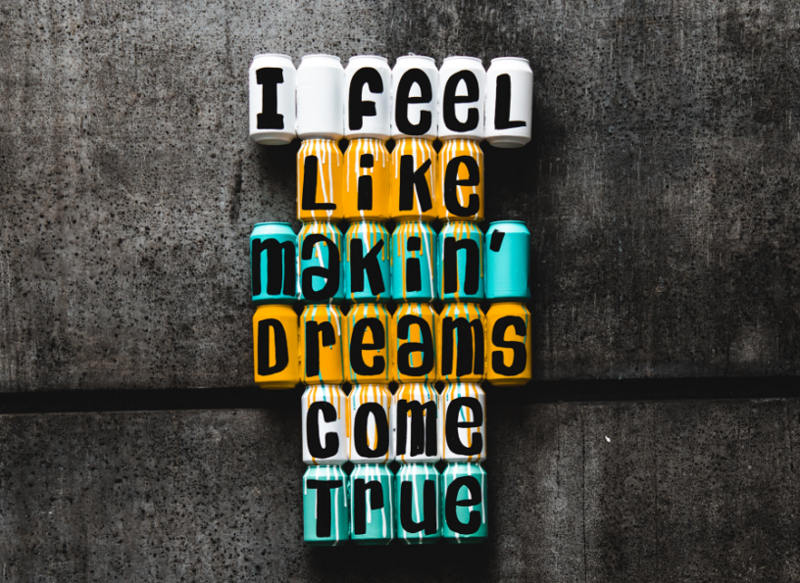 While I do feel confident in my understanding of personal finance, you should always seek professional advice for any of your financial-related needs.